A grand foyer entry and wrought iron spiral staircase welcome you to this breathtaking, move-in ready, second story coach home in Calabria of Mediterra. Custom appointments and designer touches are found throughout this spacious residence including volume ceilings highlighted by crown molding, picture windows, updated lighting fixtures, custom draperies and furnishings, and gorgeous flooring tile laid on the diagonal throughout the main living areas. 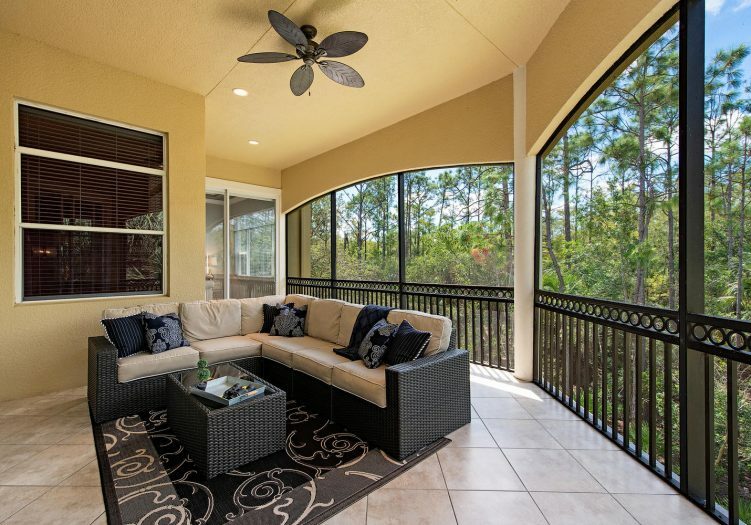 Oversized sliders in the great room open to the peaceful screened lanai creating added depth to this already spacious floor plan. Serve family and friends special occasion meals in the formal dining room or informal dining in the breakfast nook, open to the chef’s kitchen. Rich raised panel wood cabinetry fills the gourmet kitchen, highlighted by beautiful granite topping the work surfaces and breakfast bar. 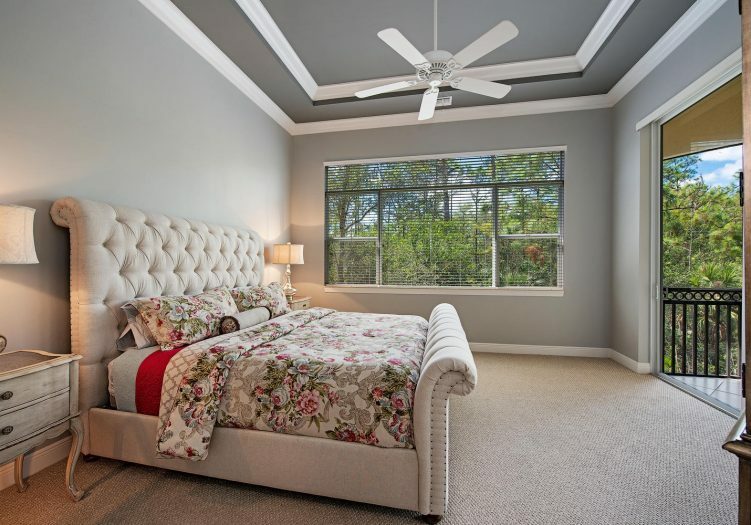 Retreat to the master suite featuring large picture windows and direct access to the lanai from the master bedroom. 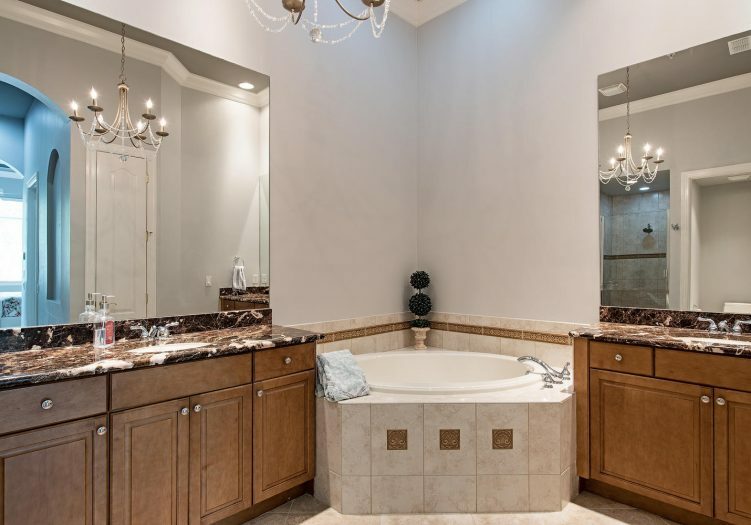 His and hers vanities, custom light fixtures, a large soaking tub and walk in shower are found in the luxurious master bathroom. The den is a perfect private work space or an intimate gathering area. Family and friends will feel right at home in the comfortable guest suite accommodations. 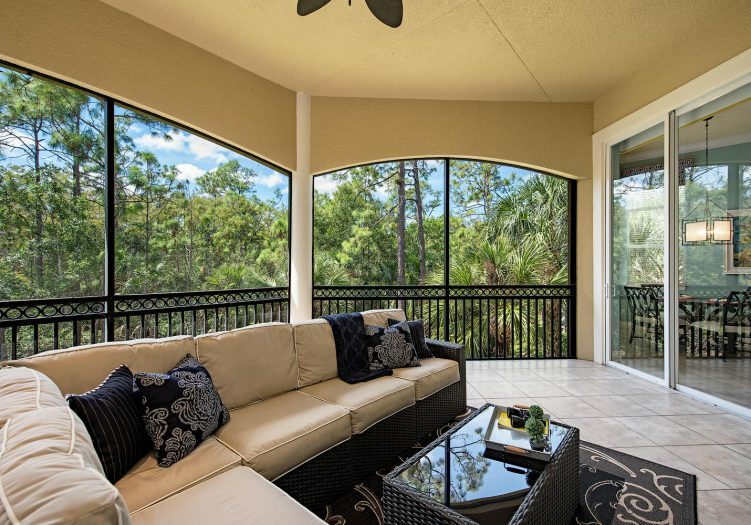 Enjoy life in paradise on the spacious screened lanai boasting lush preserve views as the perfect tranquil backdrop for living the maintenance free golf course lifestyle in paradise.